The Rugged Messenger Keyboard provides you with a laptop-like experience while working on your device. Its tough polycarbonate construction helps protect your investment from drops, the contents of your backpack, and other hazards. With its long battery life, multi-device pairing, and wireless connectivity, the Rugged Messenger Keyboard gives you the freedom to take your device on the road—for work or play—anywhere, anytime. Dual Functionality: As a keyboard and case, the Rugged Messenger combines protection and productivity. Rugged Layers of Protection: Tough polycarbonate layers and durable construction protect your device from impact and corner damage and can withstand drops up to 6.6 feet. Two Versatile Modes: The Rugged Messenger is both a keyboard and a case which means you get protection and productivity. Protect your investment while making the most of it. Multi-Device Pairing and Wireless Connectivity: This keyboard toggles between two devices at the same time and allows you to switch back and forth instantly. Plus, there are no wires to get tangled between your devices. Laptop-Style Keys: The Rugged Messenger keyboard provides a comfortable, natural typing experience, instead of cramped pecking on a screen keyboard. Backlit Keys: Backlit keys (available in seven colors) allow you to type easily in low-light conditions. Built-In Stand: Secure your device at multiple viewing angles, whether you want to work or just catch up on your favorite show. Rechargeable Battery: You can type up to two years between charges*. The sleep/wake function also helps preserve battery life when the keyboard is not in use. The whole point of your portable device is to be able to get up and go, right? The Rugged Messenger’s wireless, Bluetooth® design means you’re free to work anywhere without being tied down. The Rugged Messenger’s multi-layered polycarbonate structure is designed to withstand drops up to 6.6 feet! That means, from the table top to the parking lot, you can have peace of mind whether you’re catching up on your favorite show or running to catch a ride. Your Rugged Messenger comes with a one-year warranty that covers defective materials and workmanship.  ZAGG will replace or exchange your Rugged Messenger at no charge. The Rugged Messenger gives you total versatility when it comes to being productive on the go. Because it has two modes—keyboard and case—you don’t need to invest in extra accessories. The stainless steel frame under the keyboard provides a solid surface for typing as well as extra protection for your device. Case Mode protects your iPad from scratches and dings while you're on the go. Keyboard Mode makes typing fast and comfortable by offering a large typing area and backlit, laptop-style keys. You connect to your world in multiple ways. Multi-device pairing capability lets you connect to two devices simultaneously, such as your phone and your tablet, and switch back and forth between them effortlessly. Magnets in the built-in stand secure your device at multiple viewing angles to accommodate your activities. Nothing puts your productivity on pause like an awkward, cramped typing experience. The Messenger’s improved, responsive keys let you type with the speed and ease of a laptop. Life doesn’t stop when the sun goes down. The keys on the Rugged Messenger are backlit—in seven colors—which allows you to keep going, even in low-light conditions. 9.82" x 7.47" x 0.97"
Rugged Messenger for the Apple iPad 9.7-inch is rated 4.1 out of 5 by 84. Rated 5 out of 5 by KHenry from Protects ipad beautifully I have a hard case Zagg, but ordered the rugged messenger for my husband’s new ipad. Love it! The magnetic strip means he can very easily put it in the case or remove it as needed. Protects ipad perfectly. Case folds to hold ipad at various angles, perfect for reading. Delivered promptly, as promised. Two of my neighbors were so impressed, they ordered Zaggs for their iPads after sampling ours. Great company. Rated 5 out of 5 by KAS5 from Great cover I've used Zagg products for a long time and by far this is the best one yet. I rely on Zagg to protect my products and they do. This is a great cover for travel to ensure my iPad is protected. Does it work with iPad in portrait mode? The case as a whole does not work with the ipad in portrait mode. &nbsp;The magnets are designed to work only in landscape mode. &nbsp;You can of course remove the ipad from the keyboard portion of the case easily enough and stand it up with something else but it is not supported by the keyboard case in portrait mode. There is no exact weight, but it is much lighter than previous models of the Rugged Book and gives you the option of using the case separately from the keyboard if you don't want to take the keyboard with you one day. This keyboard is compatible with the iPad 6th Generation. Is it compatible with iPad Air 2? No. This Rugged Messenger is only compatible with the iPad 9.7&quot;. Is there any way to repair the case? &nbsp;My iPad keeps falling out; it appears that the plastic piece that keeps the iPad in place has broken off on one side. &nbsp;If this is not repairable would it fall under warranty? We suggest reaching out to our Customer Support team at 800-700-9244 as they can assist you with a replacement under warranty. You model is compatible with this device. Does this case work on an iPad generation 2 or 3. My current Zagg case just gave out.